The aim of this lecture is to present on Ratio Analysis. Ratio is the quantitative relation between two amounts showing the number of times one value contains or is contained within the other. 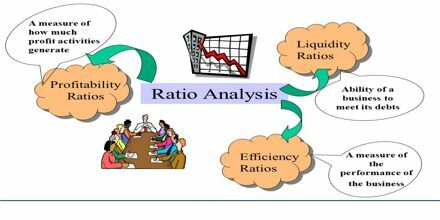 Ratio Analysis is a form of Financial Statement Analysis that is used to obtain a quick indication of a firm’s financial performance in several key areas. The ratios are categorized as Short-term Solvency Ratios, Debt Management Ratios, Asset Management Ratios, Profitability Ratios, and Market Value Ratios. How to Measure Air Pressure?